Have you ever considered some of the following questions? Once we are retained, a board certified life care planner is assigned to your case based on factors such as age of individual, diagnosis, timeline, and parties in the case. We then review available medical records and pertinent legal documents. 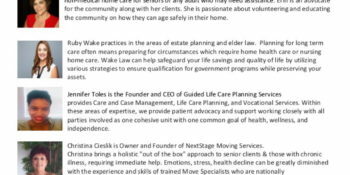 The GLCPS care planner performs an Independent Medical Evaluation and interviews family members involved in the individual's care. If available and necessary, treating physicians are consulted. The life care plan is then formulated. We are also available to evaluate an existing LCP. Call us for a free consultation and we'll help you Plan for Peace of Mind!